“In the ferroelectric devices, polarization control is usually accomplished by application of an electric field.”* In the article “Optical control of polarization in ferroelectric heterostructures” Tao Li et al. 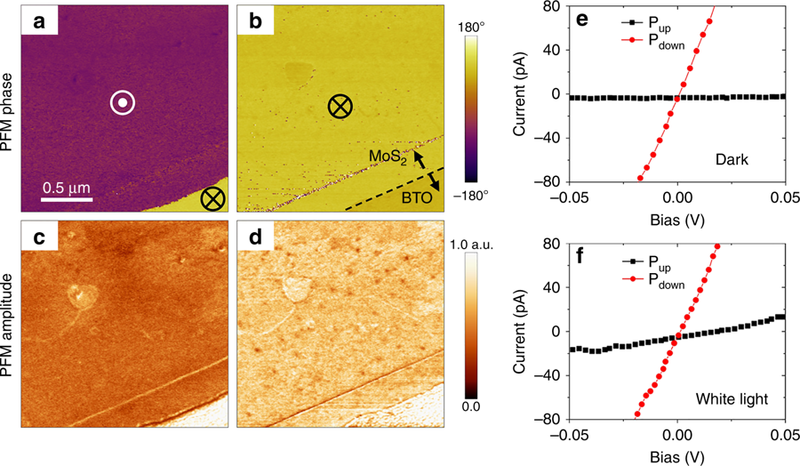 demonstrate optically induced polarization switching in BaTiO3-based ferroelectric heterostructures utilizing a two-dimensional narrow-gap semiconductor MoS2 as a top electrode. 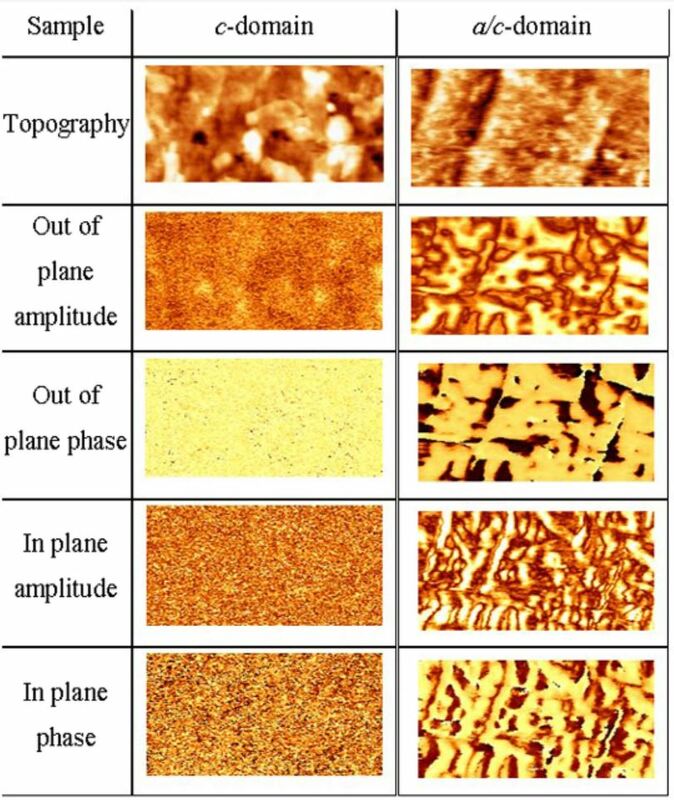 NANOSENSORS PPP-EFM PtIr coated AFM probes were used to perform the KPFM and PFM measurements mentioned in the article cited below. Open Access: The article “Optical control of polarization in ferroelectric heterostructures” by Tao Li et. Al. is licensed under a Creative Commons Attribution 4.0 International License, which permits use, sharing, adaptation, distribution and reproduction in any medium or format, as long as you give appropriate credit to the original author(s) and the source, provide a link to the Creative Commons license, and indicate if changes were made. The images or other third party material in this article are included in the article’s Creative Commons license, unless indicated otherwise in a credit line to the material. If material is not included in the article’s Creative Commons license and your intended use is not permitted by statutory regulation or exceeds the permitted use, you will need to obtain permission directly from the copyright holder. To view a copy of this license, visit http://creativecommons.org/licenses/by/4.0/. 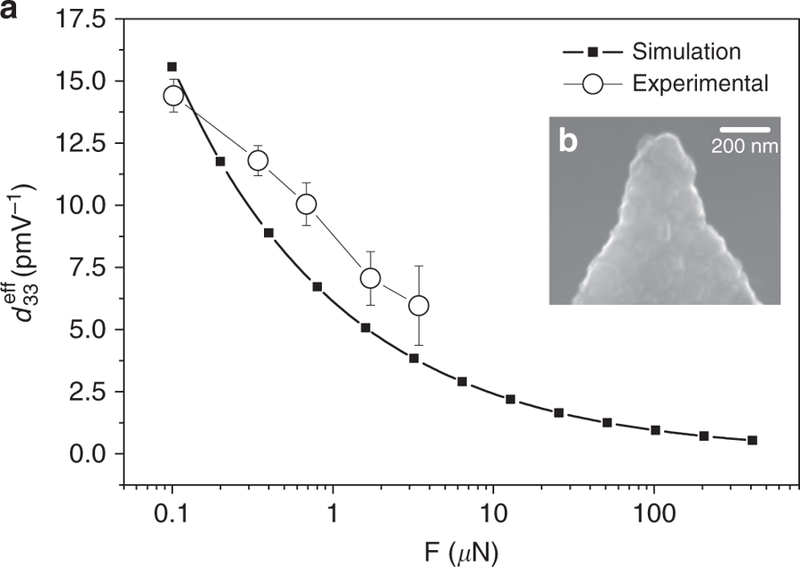 A NANOSENSORS AdvancedTEC ATEC-EFM PtIr coated AFM probe was used for the piezo force microscopy (PFM) characterization in this interesting paper by Borderon et.al Domain wall motion in Pb(Zr0.20Ti0.80)O3 epitaxial thin films published in Nature Communications. μm for the c-domain ample and 1 μm × 0.5 μm for the a/c-domain sample.